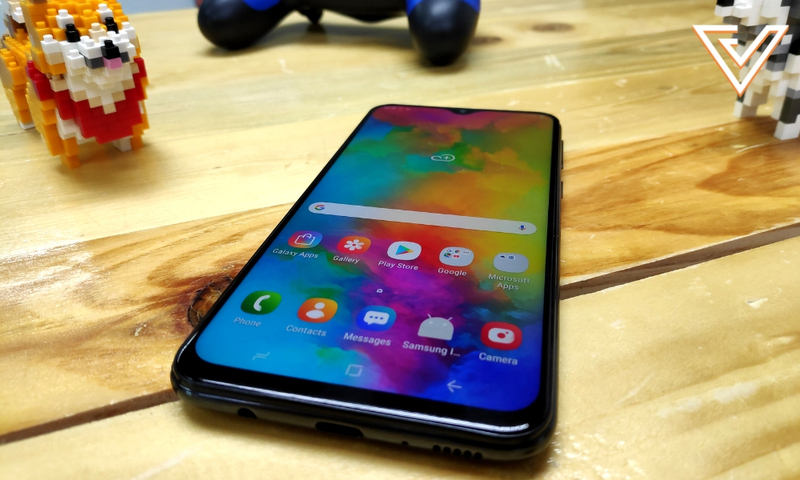 [REVIEW] Is It Worth To Get The Budget Samsung Galaxy M20 Phone? The Samsung Galaxy M20 sports a gigantic 5,000 mAh battery and a dual rear camera setup. It’s an online-exclusive item and can only be bought at Samsung online stores and their exclusive e-commerce partner Shopee at RM799 or SGD229. Samsung has been grabbing all the headlines lately with the release of their latest 10th anniversary phone—the Galaxy S10 series. However, they aren’t just targeting the high-end smartphone market; they also have phones that are catered to the mid-range market such as their newly announced Galaxy A series (which is replacing the J series as the main line of mid-range smartphones). In the budget market, they’re pitting themselves against brands like Redmi and Realme with their freshly introduced M-series—Galaxy M10 and M20. 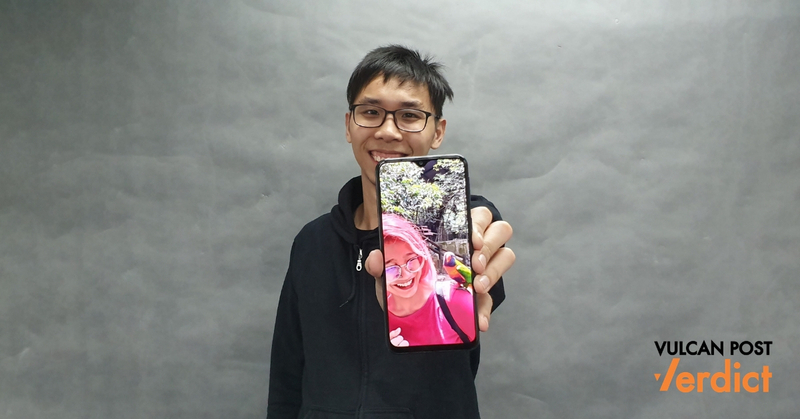 I got my hands on the better spec-ed Samsung Galaxy M20, and decided to put it to the test. The Samsung Galaxy M20 is priced at RM799 for the variant with 4GB RAM and 64GB storage and comes in two colours—Charcoal Black and Ocean Blue. However, it won’t be available in physical stores and retailers as it’s an online-exclusive item. Customers can only buy it through Samsung online stores and their e-commerce partner Shopee. No phone can have less that two cameras nowadays, and the Galaxy M20 comes with a dual camera setup on the back—a 13MP primary camera with f/1.9 aperture paired with a 5MP secondary sensor with f/2.2 apertures. 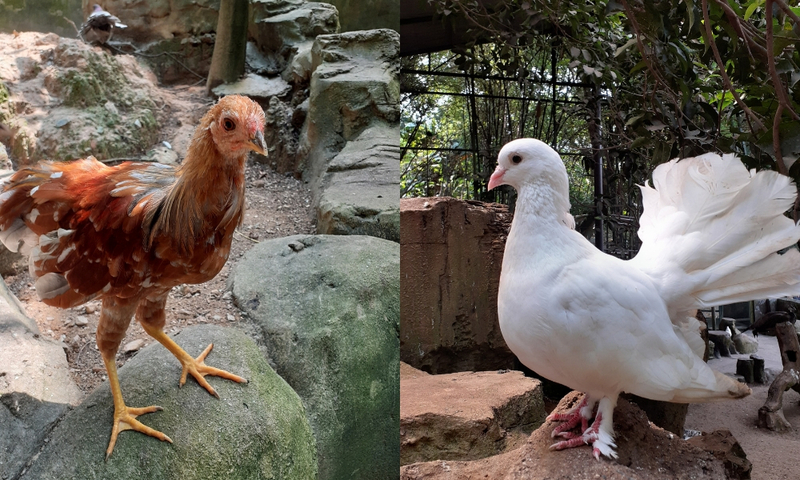 Since Samsung phones are pretty well known for their cameras, I put it to the test by taking it with me to a mini petting zoo in KL,Farm In The City. 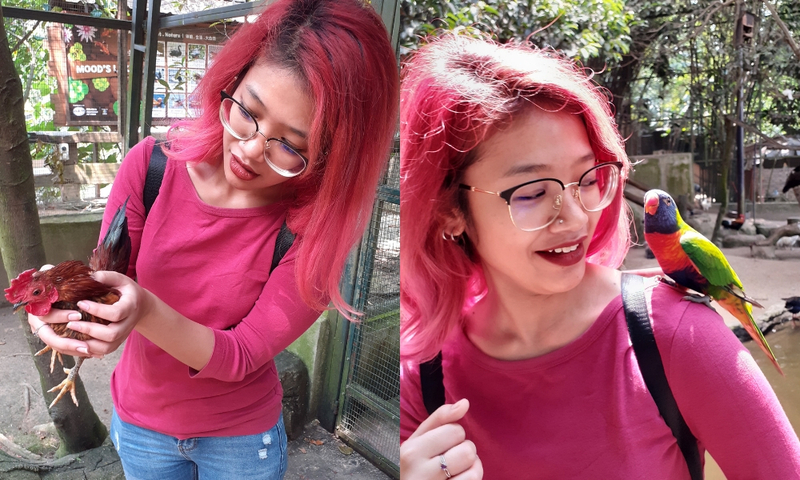 It’s known that I’m a Pokémon fan, so since I needed to test out the phone, I decided to do my own real-life version of Pokémon Snap and catch ’em all— in photos. 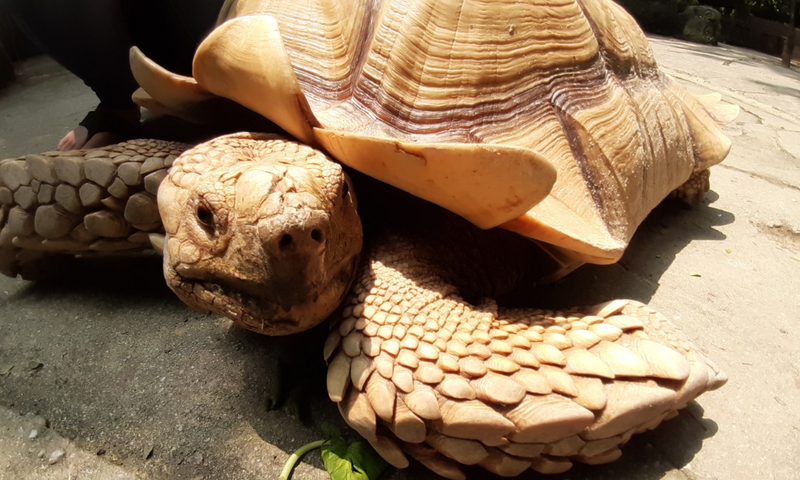 An African Spurred Tortoise, or a real life Torkoal. Daylight shots are quite impressive and you can get high-contrast and vibrant photos from it. 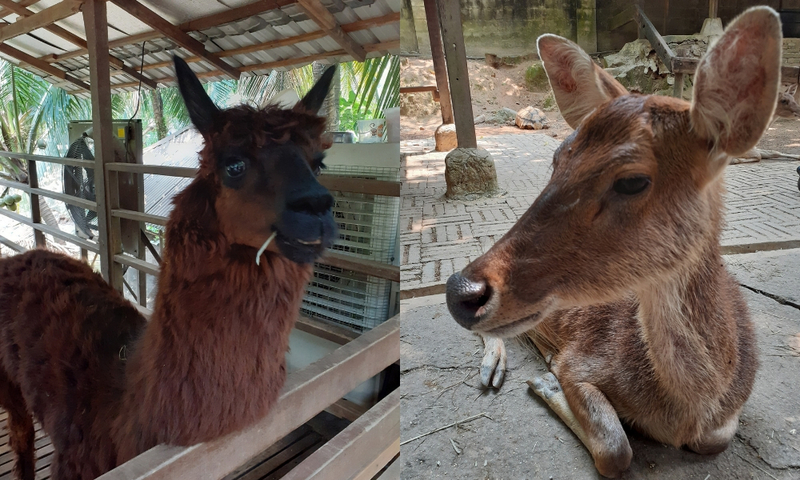 An Alpaca and Javan Deer. Hello Deerling! Thankfully it was a typical hot and sunny Malaysian day, so most of the photos taken came out pretty well. 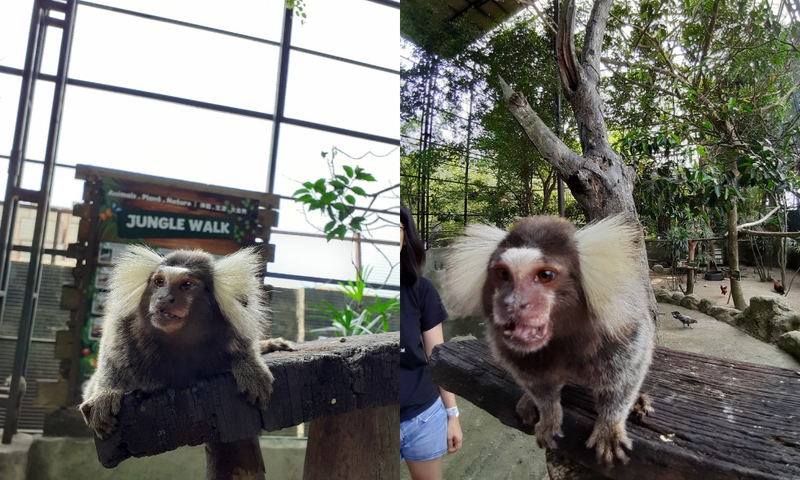 A White-Eared Marmoset. Reminds me of a cheeky Aipom. We found that the camera was quick to lock focus and there didn’t seem to be much shutter lag. A Common Chicken and Fan Tailed Pigeon. Could pass as a shiny Pidove. Hence, taking pictures of animals, especially birds, wasn’t much of an issue. Holding the Malaysian Serama Bantam which is the smallest breed of chicken and a Rainbow Lorikeet. Colours are slightly oversaturated and can be a bit too vibrant, as seen in the pictures above. However this is a matter of taste; it does make it pop out of the display. Photo taken with the wide-angle lens. Check out the Goldeen and Magikarp. 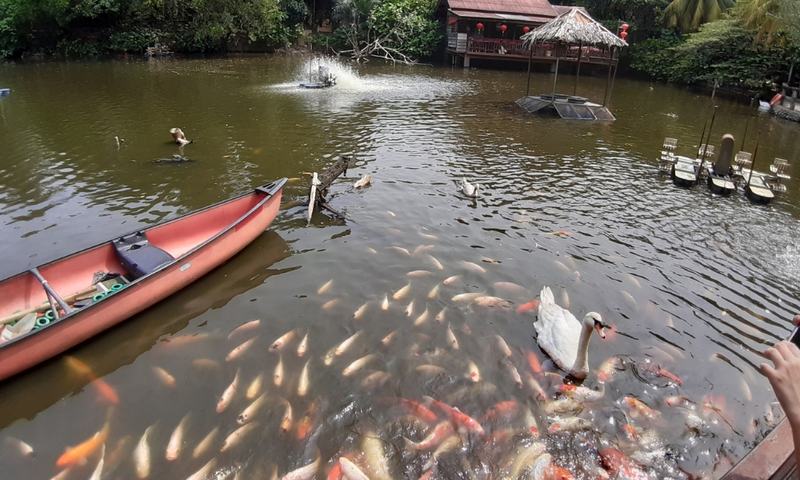 Taking photos with the secondary wide-angle lens also results in lower quality photos and there was a significant fish-eye distortion. However, many dual camera phones don’t have even have the wide angle option, so that’s a plus point to have on board, if you’re looking for that. 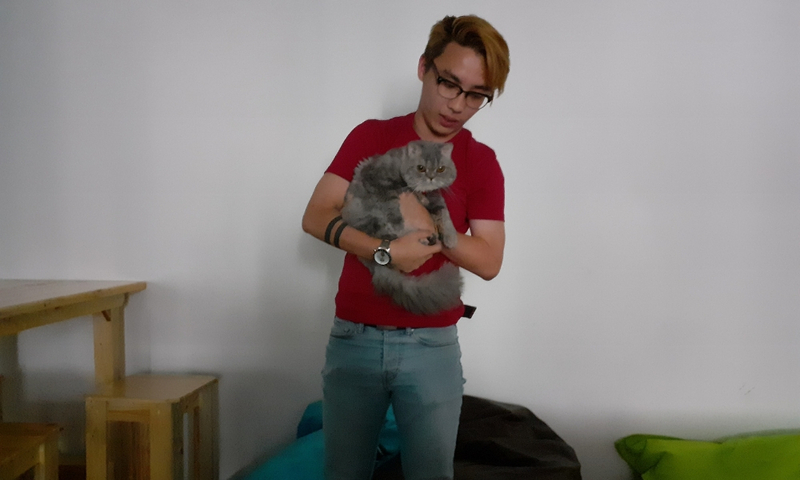 A low-light shot taken with the Samsung Galaxy M20, and too bad Oscar can’t talk like Meowth. Low-light performance didn’t do as well as most shots came out with a lot of motion blurring and a massive loss of detail. The camera works best in bright sunlight, but anything less leads to a sub-par result, understandably. The other talking point about the Samsung Galaxy M20 is the huge 5,000 mAh battery capacity that is more than enough to last a day or even two. To complement the long lasting battery life, Samsung has made sure that it can be charged quickly. The smartphone supports Samsung’s adaptive fast charging via USB Type-C with the 15W fast charger in the box. The battery life is a plus point for users who play battery-intensive games like PUBG Mobile. Samsung has also claimed that they’ve even optimised the smartphone for playing PUBG Mobile, but I found playing on medium settings already causes a bit of lag. Other than that, the phone also has a polycarbonate body that feels good to hold in the hand and it doesn’t feel like it’ll break once you drop it. Compared to other higher-end Samsung phones that usually comes with a AMOLED screen, the Samsung Galaxy M20 comes with a PLS (Plane Line Switching) TFT panel. It’s Samsung’s proprietary display design, which is similar to IPS (In-Plane Switching) technology. Although it can’t be compared to AMOLED panels, the display has rich colours, impressive viewing angles and outdoor visibility. It’s adequately sharp and quite bright, pretty good for a phone under RM1,000. Moving on to the UI, it’s similar to what you get on Samsung’s high-end phones, with a swipe-up style app drawer with smooth animations and app transitions. However, as every Samsung user knows, the phone does come with some unwanted bloatware such as a suite of Samsung, Microsoft and Google apps. Don’t worry though, you can uninstall most of them if you don’t plan on using them. The biggest flaw that most people have been up in arms about is that the phone runs on Android 8.1 Oreo out of the box, but keep your pitchforks as Samsung has promised to roll out an Android 9 Pie update by August 2019. Overall, I’d say it’s a well built entry level smartphone with a decent camera and huge battery life. If you wish to have a sturdy and reliable smartphone that you won’t constantly get a heart attack when dropping, the Samsung Galaxy M20 is the one for you. Furthermore, you won’t need to worry about charging your battery constantly as an average user can use the 5,000 mAh phone for up to two days without even charging it. 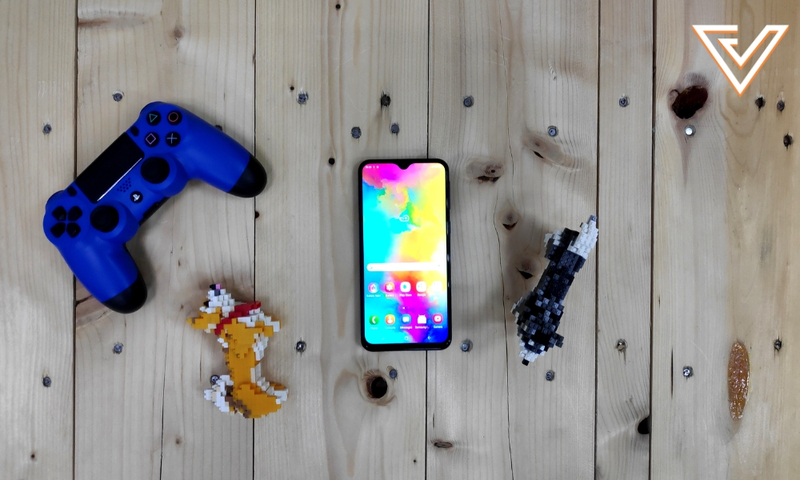 You can find out more about the Samsung Galaxy M20 here. VP Verdict is a series where we personally try and test out products, services, fads, and apps. Want to suggest something else for us to try? Leave a comment here or send the suggestion into our Facebook page.